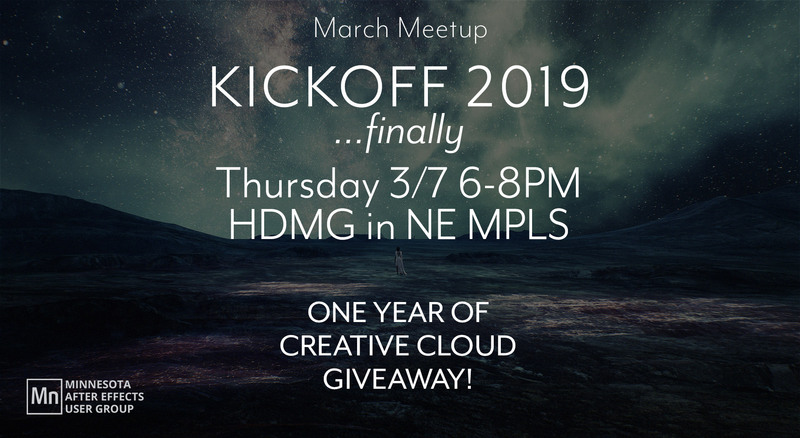 We’re finally having out first meetup of the year! We’ll be holding onetwo random drawings for one year of Creative Cloud! So be sure to sign in when you get there! BYOB (or some to share), hang out, and talk shop. We’ll also have time to share work, inspiration, or get help from the group. So bring something to share, whether your latest work or a problem you’re trying to solve! FREE Parking is available behind and on the side of HDMG off 6th St. NE. Fill out the form below to RSVP to the event.